Pontiac Solstice License Plate LEDs! Plug & Play Install! Same day Shipping! License plate bulbs are used to illuminate the rear license plate on your Solstice. From the factory, the bulbs are incandescent, lighting up in a yellowish color. 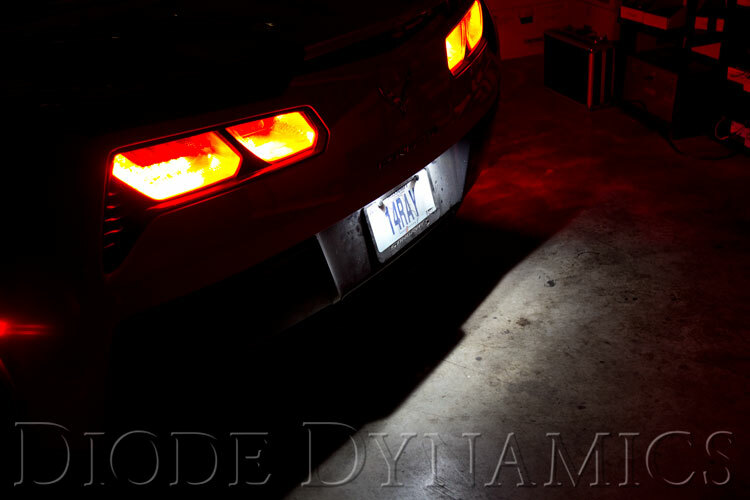 Newer luxury cars use LED modules to illuminate the license plate with modern, cool white light. 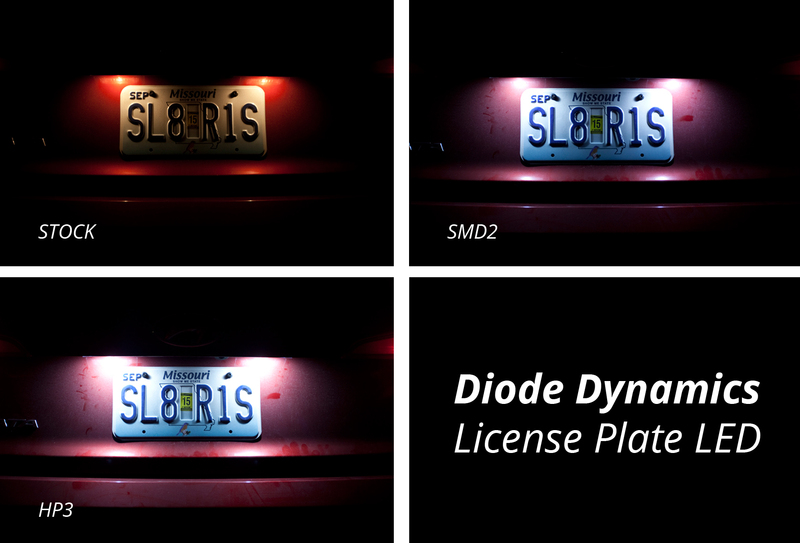 By changing your license plate bulbs to Diode Dynamics' LED replacements, you can easily add this luxury look to your Pontiac Solstice! With low price and easy install, this is one of the best, easiest modifications you can do to improve how your Solstice looks at night. Last edited by Diode Dynamics; 12-21-2017 at 11:06 AM. Hmmm LEDs that have not yet found their way onto Punisher. Very interesting. A simple upgrade, but a big result! These guys know their stuff, Rob. Yeah Rob. Met Nick at a local car meet. Real deal. These are pretty cool. I see you have HID kits for the Solstice...I'm pretty sure the Sky lights are different enough that they won't work with our Sky's. Wish that wasn't the case. I know that when tweaking / dressing up / tuning your car the most important thing is that the owner likes it and one should never ask "why". if it makes him happy that is good enough reason. Well, I will still ask the question.. . . why . . . . . would you want your license plate to be better visible ? The factory license plate lights are a dull, boring incandescent yellow. Replacing them with cool white LEDs provides a much cleaner and modern appearance. We offer a variety of bulb models with different levels of output, so you can pick the level of output you prefer. If you aren't doing anything illegal in your car, you won't have to worry about your license plate's visibility anyway lol. I see you have the information here in this particular post, but I think it would also be helpful if your website listed how many lumens the OEM style incandescent bulbs are so you can easily compare your LED light output to what you have now in the stock bulb. I didn't see it anyway, maybe I missed it. Just a suggestion. Thanks for supporting our cars. We are in the process of a major update to our site. Our development team has been working hard to compile detailed technical specifications for every bulb model we offer, and we will be adding more stock lumen output measurements. It's difficult to provide real-world information for incandescent bulbs, because they will gradually lose output over time as the filament is worn away. Osram-Sylvania was recently hit with a $30 million lawsuit for misleading customers by saying their products were x% brighter than the factory bulbs without explaining that the factory bulbs must be used over a significant period of time. Anywho (lol), we are planning on having a Solstice in our studio at some point in the near future for product comparison shots and development. 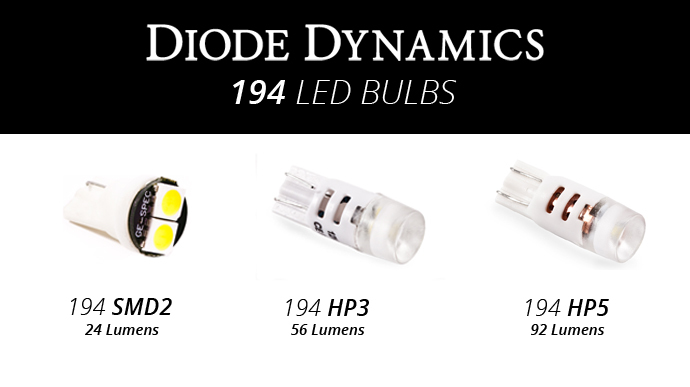 We have a variety of bulb models depending on how much light output you are looking for.